David Hsu is a professor of computer science at the National University of Singapore (NUS) and a member of NUS Graduate School for Integrative Sciences & Engineering. He received PhD in computer science from Stanford University. At NUS, he co-founded NUS Advanced Robotics Center and has been serving as the Deputy Director. He held visiting positions at MIT Aeronautics & Astronautics Department and CMU Robotics Institue. He is an IEEE Fellow. His research interests span robotics, AI, and computational structural biology. In recent years, he has been working on robot planning and learning under uncertainty and human-robot collaboration. He, together with colleagues and students, won the Humanitarian Robotics and Automation Technology Challenge Award at International Conference on Robotics & Automation (ICRA) 2015, the RoboCup Best Paper Award at International Conference on Intelligent Robots & Systems (IROS) 2015, and the Best Systems Paper Award at Robotics: Science & Systems (RSS), 2017. More information on his research is available on the M²AP research group web site. He has chaired or co-chaired several major international robotics conferences, including WAFR 2004 and 2010, RSS 2015, and ICRA 2016. He was an associate editor of IEEE Transactions on Robotics. He is currently serving on the editorial board of Journal of Artificial Intelligence Research. Abstract: Early robots often occupied tightly controlled environments, e.g., factory floors, designed to segregate robots and humans for safety. In the near future, robots will "live" with humans, providing a variety of services at homes, in workplaces, or on the road. To become effective and trustworthy collaborators, robots must adapt to human behaviors and more interestingly, adapt to changing human behaviors, as humans adapt as well. I will discuss our recent work, covering (i) mathematical models for human intentions, trust, ..., (ii) planning algorithms that connect robot perception with decision making, and (iii) learning algorithms that enable robots to adapt to human preferences. The discussion, I hope, will spur greater interest towards principled approaches that integrate perception, planning, and learning for fluid human-robot collaboration. Dr.Prof. 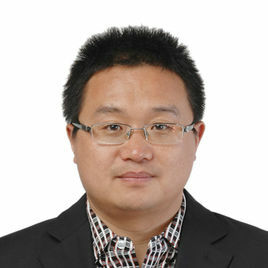 Lang Lihui, obtained his Ph.D degree from Harbin Institute of Technology in 1998. He is working now as full professor, Humboldt Scholarship excellent researcher, vice director of Youth Committee of Plasticity Engineering Association, editor of Stamping and Forging Technology. Mainly focuses on automotive and aircraft fields, his team research covers hydroforming including sheet hydroforming and tube hydroforming, Glare composite, High Temperature/Pressure Forming of powder, warm/hot hydroforming of lightweight materials, KBE system. He has published more than 200 paper in journals, most of which were cited by SCI and EI. One technical book named as Innovative Hydroforming and Warm/Hot Hydroforming was published. Supported by NICHIDAI Die Manufaturing Company Youth Prize. Awarded by the Mechanical Engineering Society of UK for the “Thomas Stephen Prize”. And six special invited and keynote papers in international conferences have been presented. Obtained more than 30 patents. The automobile lightweight technology has been paid more and more attention due to the limited resources and the increasing environmental pollutions. In this paper, according to the characteristics of difficult forming of the aluminum alloy material which is increasing used widely in automotive field, the rigid-flexible coupling forming process is put forward. It is a new derivative technique based on the sheet hydroforming process, having both advantages of the hydroforming and the rigid forming. The tools used in the process, after finishing the first installation, can achieve all the process actions of forming and shaping, guaranteeing the whole precision of the part. The local rigid mold can use the form of insert block, which can be replaced at any time, increasing the flexibility of the mold. Meanwhile, the automatic hydroforming production line built firstly in China is introduced. Specifically for the complex aluminum alloy inner panel of the engine hood in the paper, the relationship between the local round corner feature and the hydraulic pressure is theoretically analyzed. The key process parameters of the proposed process: hydraulic pressure loading path and rigid-flexible effect, blank holder force (BHF) and the draw bead setting, are investigated by using numerical simulation and experiment. Meanwhile, the formability of the aluminum alloy inner panel in different parameters of the rigid-flexible coupling process is also researched. Compared with the experimental results, the applicability of the new forming process is proved. The research can broaden the complexity and application range of the aluminum alloy automobile body panels formed by using the hydroforming technology to a certain extent. conferences. He is the Editor-in-Chief, International Journal of Social Robotics, and Springer. He has served/been serving as an Associate Editor for a number of flagship journals including IEEE Transactions on Automatic Control, IEEE Transactions on Control Systems Technology, IEEE Transactions on Neural Networks, and Automatica, and Book Editor for Taylor & Francis Automation and Control Engineering Series. He was the recipient of Changjiang Guest Professor, MOE, China, 2008; and Fellow of IEEE, USA, 2006. Abstract: Artificial intelligence proceeds on the basis of the conjecture that every aspect of learning or any other feature of intelligence can in principle be so precisely described that a machine can be made to simulate it, and then robots come into existence and are coming in big, changing human’s life in every way. In this talk, I will demonstrate the development of AI, including traditional machine learning, deep learning and artificial general intelligence. And the robots have developed from robotic arms, mobile robots to service robots, and even social robots in the future. I mainly introduce social robots which will be closer and safer partner in our daily lives with the abilities, such as intelligent, cooperative and social interactive and cognitive ones. Dr. Li Renfu born in 1966, Jiangxi Fengcheng people. Professor, doctoral tutor, Chutian scholar. Visiting Professor, Department of Mechanical and Aerospace Engineering, University of Texas, Arlington, ASME Fellow, Association of Mechanical Engineers. In 1988, he graduated from Beijing University of Aeronautics and Astronautics with a bachelor's degree in design. In 2000, he received a master's degree in aerospace engineering and mathematics from the Georgia Institute of Technology (Atlanta, USA) in 2000 and the Georgia Institute of Technology in 2004. of Technology, Atlanta, USA). July 1988 to the aircraft industry in Chengdu Institute of aircraft design aircraft engaged in the development of aircraft. From 1997 to 2009, he has studied and worked in the United States of America, Georgia Institute of Technology and the United States Aerospace Research Institute and other departments for 13 years and 6 months, after returning to Huazhong University of Science and Technology in June 2009 engaged in teaching and scientific research And personnel training, as well as aerospace discipline construction work. His main research direction are: aircraft design technology; flight control theory and technology, spacecraft orbit dynamics and control, multi - agent cooperative flight control; aeronautical composites; Aeronautical Energy and Power Propulsion Technology. And Open course are: Introduction to Aerospace; aerodynamics and aircraft design; l flight mechanics and flight control. Prof. Dr. Huafeng Ding is a Full Professor and the dean of the School of Mechanical Engineering and Electronic Information, China University of Geosciences. He received his first Ph.D. in Robotics and Mechatronics from Yanshan University, China, in June 2007. He received his second Ph.D. in Mechanics and Robotics from University of Duisburg-Essen, Germany, in February 2015. He worked as an Alexander von Humboldt Fellow in Germany from 2010 to 2012. In 2014, he won the Natural Science fund for Outstanding Youth Scholars and the Fok Ying-Tong Education Foundation. Dr. Ding's research interests include structural synthesis of mechanisms, conceptual design, control and applications of planar and spatial mechanisms. He published over 100 research papers, 1 book published by Springer. He has more than 60 patents for his inventions. He is Associate Editor for the International Journal of Mechanism and Machine Theory, International Journal of Mechanisms and Robotic Systems, the Journal of China Mechanical Engineering. Abstract: In the design of various mechanism-based products, conceiving the mechanisms with better performance has been a challenging issue. For a long time, it has been researchers’ experience and intuition that are mostly relied on in the conception of candidate structures and the selection of one of them for the task. The structural synthesis of mechanisms which can generate a complete list of kinematic chains and mechanisms free from isomorphism and degenerate chains can provide the designers with all the independent candidate kinematic structures of mechanisms of choice. This report focuses on a novel synthesis method which is at the same time effective, automatic and designer-friendly. One can obtain all the valid topological structures of mechanisms and develop the atlas database containing all the topological graphs for these mechanisms with different numbers of links. Based on the classified atlas database, a creative design method is also addressed to generate all the feasible mechanisms for a specified design task. Biography: Bin Zi is currently a professor, the Dean of School of Mechanical Engineering, and the Director of Robotics Institute, Hefei University of Technology, China. He received the Ph.D. degree from Xidian University, China, in 2007. From 2011 to 2012 he worked as a visiting scholar with Chair of Mechanics and Robotics, University of Duisburg-Essen, Germany. He was a visiting professor at the Robotics and Automation Laboratory of the University of Ontario Institute of Technology, Canada in 2015. He has authored and coauthored 2 monographs and more than 100 journal and conference publications. His research interests include robotics and automation, mechatronics, and multirobot systems. Abstract: The theoretical research of flexible-drive mechanisms is developed with its broad applications. Flexible-drive robots are promising alternative of traditional rigid-link parallel mechanisms. Different aspects like time optimal trajectory tracking, workspace, integrated mechanism design and control, and design of a flexible-drive robot for large-scale manipulation were investigated extensively. This talk focuses on recent advances on mechanical properties and control technology of the flexible robots. Some typical mechanical architectures of the robots in practical applications are provided and analyzed. On the basis of the typical applications, the fundamental mechanics, intelligent control technology of the flexible-drive robots are addressed.